Ajax vs Juventus betting tips – Johan Cruijff Arena in Amsterdam hosts a duel between the most form teams in the Netherlands and Italy, Ajax vs Juventus. Both coaches have announced an offensive approach to the game, so gaps are the ones that will make us profit. 1. Latest information before playing Ajax vs Juventus betting tips. He managed to produce the surprise in optimi, eliminating it from the competition Real Madrid, the trophy owner, with the overall score of 5-3! The offensive game is the one who made it to the top position in Eredivisie. In the last stage of the championship he was 4-1 at Tilburg, reached 100 goals scored in 29 stages and overtaken PSV Eindhoven at goal. Dusan Tadic is the main marker, but Ziyech, Dolberg or Neres are also in great shape in the offensive compartment. Right back Marzaoui was warned in Real Real on Santiago Bernabeu and is suspended for the cumulus of yellow cards. His place will be taken by Rasmus Kristensen, a Danish 21-year-old player. Erik Ten Hag will not be able to rely on Carel Eiting for some time. With Cristiano Ronaldo in the team, he is one of the favorites to win the trophy in the fight with Barcelona, Liverpool and Manchester City. In the top half he went through the ultra defensive Atletico Madrid, managed to return the result in return after a 0-2 in Madrid. The result of the tour was a liar, as Massimiliano Allegri’s students created 15 goals on Wanda Metropolitano. This time there are great chances to score because the defensive is not the strength of the “lancets”. Cristiano Ronaldo missed in the last 3 matches in Serie A due to a thigh injury, but is announced in the match on Johan Cruijff Arena. Emre Can injured in AC Milan on Saturday, injured and will be replaced by Pjanic. Alex Sandro returns to the left wing of the defensive after he was suspended at the Atletico Torino match. Young Moise Kean does not take place in the first 11 goals scored in the last 5 official matches! 2. Ajax vs Juventus probable teams. Ajax (4-3-3): Onana – Kristensem, Ligt, Blind, Tagliafico – Van de Beek, De Jong, Schone – Ziyech, Tadic, Neres. 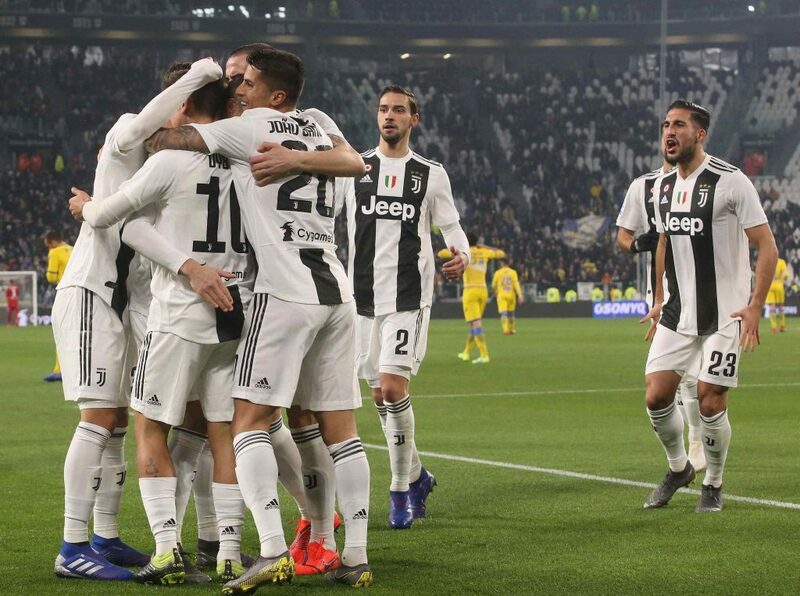 Juventus (4-4-2): Szczesny – Cancelo, Bonucci, Chiellini, Alex Sandro – Pjanic, Bentancur, Matuidi – Bernardeschi, Mandzukic, Cr. Ronaldo. Previous matches in the Champions League date back to 2004 in the group stage, both confrontations being won by Juventus. Meanwhile there was a duel in 2010 in the 16th Europa League, also won by the Italians, after a 2-1 in Amsterdam and 0-0 in Turin. Only a draw has managed Ajax in front of Juventus in the previous 5 direct meetings! It remains memorable the 1996 Champions League finals, in which Juventus has won the penalty shootout. Both teams have prepared offensive team formulas with 3 strikers, so the show will not miss the Johan Cruijff Arena. Ajax has just scored 100 goals in the domestic championship and comes after a 4-1 in UCL against Real Madrid, the winner of the last three trophies. “Lancierii” scored in all matches played this season in front of their supporters. Juventus will start with Ronaldo, Mandzukic and Bernardeschi in the line of attack, and Dybala and Kean are ready to enter the field if necessary. Certainly, the Italians are planning to join Amsterdam to make their match easier in the Torino return. Ajax’s defense proved to be one of the last few games, with a goal from Willem II and two from the modest Emmen!